Slí na Bandé: What solutions? In response to the global call for a sustainable way of producing palm oil, an not-for-profit association was created in 2004 to promote the growth of ecologically-friendly oil palm plantations: the RSPO (Roundtable on Sustainable Palm Oil). RSPO brings together palm oil producers, manufacturers, traders, investors, with environmental and social NGOs, working together and making decisions by concensus. A group of companies (AarhusKarishamm, Golden Hope, Migros,MPOA, Sainsbury’s and Unilever) along with the WWF met for the first rountable in 2001. RSPO was established formaly in 2004. The objective of RSPO is to provide a list of criterias with which palm oil producer must comply, in order to be considered as sustainable. Among these criterias, the companies must conform to the respect of palm oil workers rights, the non convertion of rainforest into plantations, the respect of human rights and the use of natural fertilizers and products to manage pests and diseases. The following products or marks are using palm oil considered as sustainable by the RSPO: Kelloggs, Knorr, Lipton, Uniliver, Ferrero SPA, Slim-fast, Amora, AXE, Dove, Sunsilk, the Body Shop International, Vaseline, Signal, Comfort, Neste oil corporation, Domestos, etc. According to Greenpeace, “the RSPO actually risks creating the illusion of sustainable palm oil, justifying the expansion of the palm oil industry”. In the report “cooking the climate” (Greepeace, 8.11.2007), the association explains that the RSPO is still “relying on palm oil suppliers who destroy rainforests and convert peatlands for their plantations”, giving the example of Duta Palma, an Indonesian palm oil Refiner. An other example of the RSPO’s lack of credibility is the certification by the organisation of United Plantations, a supplier of Nestlé and Unilever, involved with deforestation in the peatland forests of Kalimantan, in Indonesia. 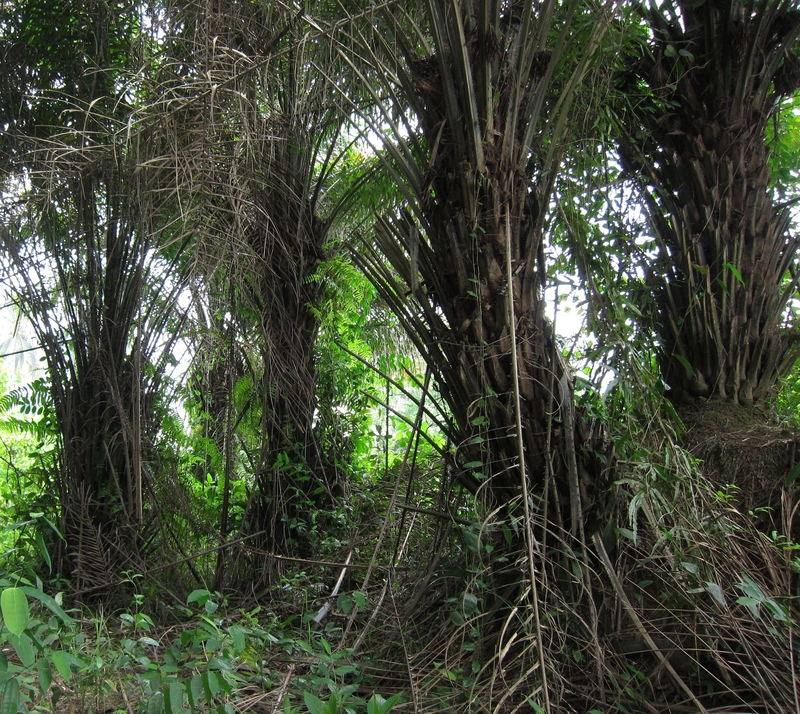 An other attempt to create a sustainable palm oil trade is the vote by the EU of a sustainability criteria (2009), in order to prevent the importation within the EU of Biomass produced in a non-sustainable way, a disposition which should prevent rainforests for being destroyed in order to produce palm oil for biofuel production. According to the EU observer however, the EU Comission and some EU Member States are responding to the pressure of the economic lobbies by trying to redifine oil palm plantations as “intact forests” within the EU legislation, a disposition which would allow to convert protected forests in palm trees plantations while consedering it sustainable and ethical. So we need to be very carefull with the consumption of palm oil products declared “sustainable”. As long as the rainforests keep being destroyed, threatening both environment and human rights, each consumer has to make a choice, weather a not he wants to consume these kind of products.